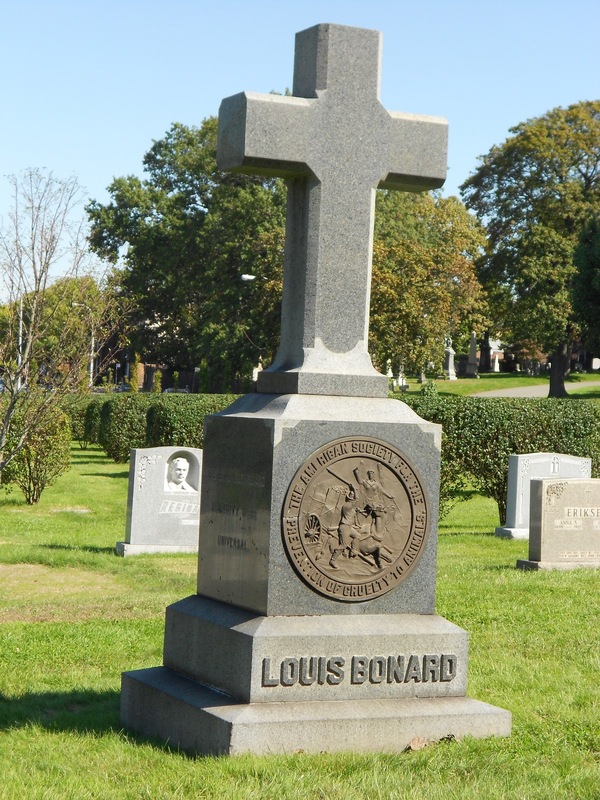 When French -born New Yorker, Louis Bonard, died in February of 1871 he left his entire estate --valued at $250,000 --to ASPCA founder, Henry Bergh. Bonard, an animal lover, wanted Bergh to use the money to continue his good work. This will was contested, unsuccessfully, by siblings of Bonard --siblings he had been estranged from for many ears --on the grounds that Bonard was insane given his belief in metempsychosis (reincarnation). During the proceedings in Surrogate Court, a number of witnesses were called, including a physician and several acquaintances of Bonard’s. One of these acquaintances testified that Bonard believed that after death “the soul passed into the body of some animal.” On May 16, 1871, Bonard’s body was removed from a receiving vault at Green-Wood Cemetery and buried in a plot nearby the cemetery’s main entrance. 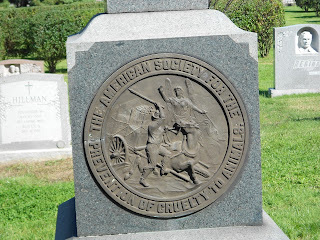 Bonard’s monument was paid for out of estate funds, overseen by Henry Bergh, and cost $600.00.